Go on safari with your kids in their bedroom! Light up their room with cute and colourful safari animals including lions, giraffes, elephants and hippos that work great as a soft night light. 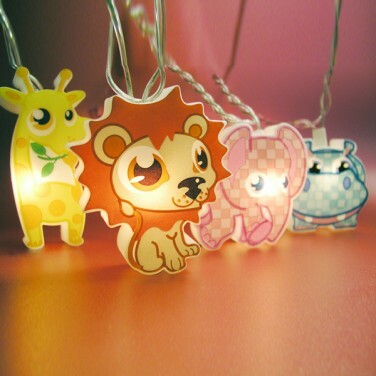 These adorable Safari Animal String Lights feature elephants, hippos, giraffes and lions. Bright and colourful soft touch shades with safe low voltage supply, makes this an ideal set of string lights for the little ones!